mPower gets acquired by Wipro. Wipro Inc, the US subsidiary of Wipro Limited (NYSE: WIT), has entered into a definitive agreement to acquire New Jersey, US based mPower and MPACT Technology Services, based in Chennai, for a total consideration of USD 28 Million, payable in cash. mPower, a niche company focused on the payment processing space, has a total estimated revenue of around USD 18 Million and an EBIT of USD 4.6 Million for fiscal year 2006. Wipro Technologies also entered into a strategic engagement with MasterCard International, by acquiring 100% stake in MPACT, a joint venture of MasterCard and mPower. 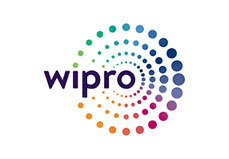 The acquisition will be part of Wipro Technologies - Global IT services business of Wipro Limited. The closing of the transaction is subject to customary closing conditions and regulatory approvals. With this acquisition, Wipro technologies gains a 300 member strong team and deep domain expertise in the payment space which will enable it expand its addressable market in the financial solutions business. As a part of this agreement, Wipro will provide MasterCard and other clients in the payment space with a wide range of services that could include Application Development and Maintenance, Infrastructure Services, Package Implementation, BPO and Testing. The acquisition is in line with Wipro’s strategy to invest in niche areas where it can establish leadership through superior domain knowledge and operational excellence. Wipro has a track record of rapid growth in its financial services business, and expects this acquisition to help scale growth in this vertical. Wipro Limited is the first PCMM Level 5 and SEI CMM Level 5 certified IT Services Company globally. Wipro provides comprehensive research and development services, IT solutions and services, including systems integration, Information Systems outsourcing, package implementation, software application development and maintenance services to corporations globally. In the Indian market, Wipro is a leader in providing IT solutions and services for the corporate segment in India offering system integration, network integration, software solutions and IT services. Wipro also has profitable presence in niche market segments of consumer products and lighting. Wipro's ADS’ are listed on the New York Stock Exchange, and its equity shares are listed in India on the Stock Exchange - Mumbai, and the National Stock Exchange. mPower Software Services, a global software services & technology consulting company, serves the IT needs of businesses in the financial services and payment processing space. mPower provides a full spectrum of software consulting services including application management, testing, systems integration, product development, systems maintenance and technical support. mPower has established a strong brand and has developed in-depth domain expertise in the payments processing space with over 1000 person-years of payment experience. Avendus Advisors is an Investment Bank specializing in Private Equity Syndication, Cross-Border M&A, Fixed Income and Strategic Advisory services to corporates and funds. The company focuses on industries where Indian companies have a strategic growth advantage, including IT Services, IT Enabled Services, Pharmaceuticals and Healthcare, Media and Consumer Products and Services. Avendus clientele ranges from small fast growing technology firms to large international corporates and established private equity funds. It has served more than 100 corporates in cross border transactions and in raising growth capital, and has closed deals more US$ 250 Million during the last fourteen months.